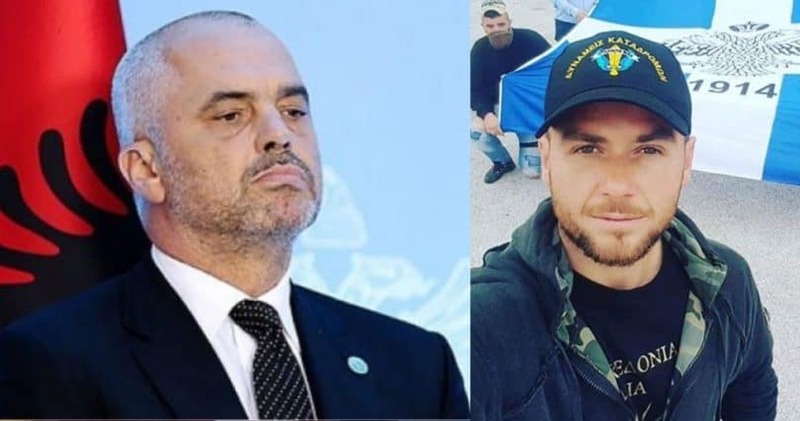 The Albanian Prime Minister’s office gave the go-ahead to kill 35-year-old Greek man Konstantinos Katsifas, with the approval of Turkey, said Albanian journalist Kastriot Miftairi on mainstream television. The execution of Katsifas has cast a shadow over Greek-Albanian relations and caused major tension between the two countries. According to Miftairi, Rama was the one who gave the green light to kill Katsifas, while also fueling tension in bilateral relations. “Proof of this is the immediate and provocative reaction of Rama, which has burdened the climate. The same goes for the provocative way that Albanian media portrayed the case. And as if that were not enough, we also had the Albanian authorities, which indirectly confessed their guilt by destroying elements of forensic research,” he said. The Albanian reporter went on to say that if Albania has Turkey’s support against Greece, it is extremely dangerous because Turkey will demand high returns. Katsifas lawyer yesterday also announced that Albanian authorities have finally agreed to release his body back to the family today, Tuesday, 6th of November, 9 days after his murder.